Introducing the 2019 Kia Sportage performance: inspired, efficient, and engineered for a smooth, precision ride. Did we mention that it’s high-energy and fun to drive? 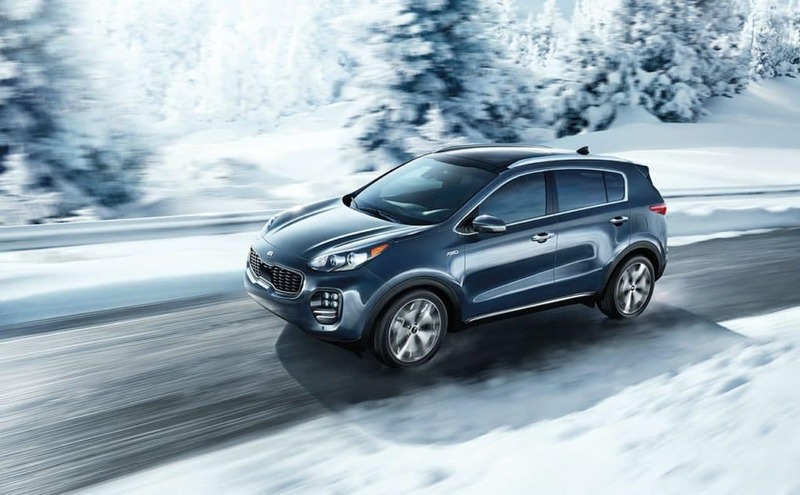 From its structure to engine power, the Sportage is built for delivering exactly what Detroit area drivers are looking for in their compact SUV driving experience. A six-speed electronically controlled automatic overdrive transmission with Sportmatic® supports smooth efficiency. Enjoy impressive EPA-estimated fuel economy of up to 30 MPG highway. An Independent MacPherson Strut-Front suspension and stabilizer bar, plus rear torsion beam suspension with coil springs, provide precise, sporty, yet smooth handling. Available Dynamax™ All-Wheel Drive is based on electronic sensors to sense road conditions and distribute power to individual wheels for the best possible traction and control. Available locking center differential is activated by the driver for extra low-speed traction when you need it. The Sportage’s Iso-Structure™ design provides rigidity and insulation to the body to help provide a quiet, comfortable ride. Three trims are available – LX, EX, and SX Turbo – with the base MSRP beginning at $23,750. All-wheel drive is available for every trim. The lineup of Kia SUVs also includes the Sorento, which has received numerous industry awards for quality and safety. With about an extra foot in length, the biggest difference between the two is size. Kia also offers two smaller crossovers, the Soul and the Niro, giving buyers exciting options at every budget. Ready for an Energized Performance? One test drive at Jeffrey Kia is all it takes! Come spend some time at our dealership in Roseville, conveniently located near Eastpointe. We’d love to show you our extensive inventory and answer all your questions. Our goal is to help you find your ideal vehicle and have an unmatched shopping experience. Compare the Sportage to the Honda CR-V then schedule your appointment today!